Dredging Material Treatment is always a big problem for local governments, especially for De-watering the material. 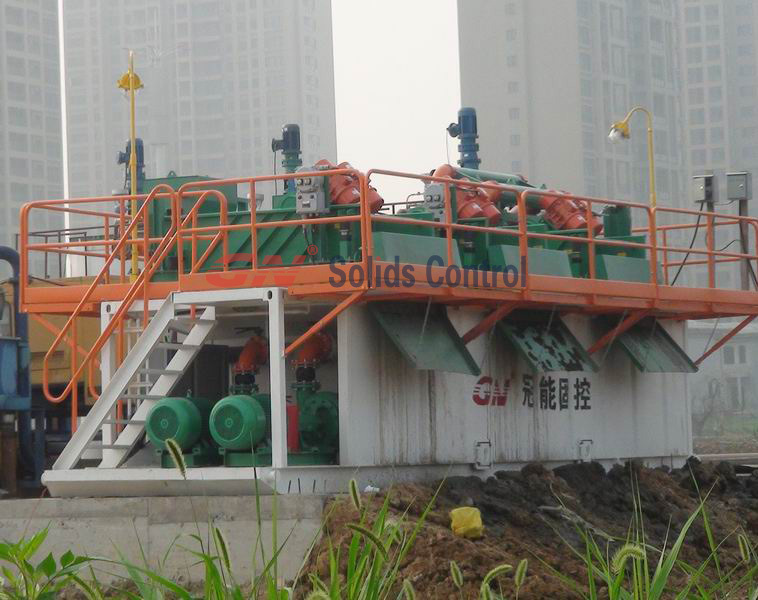 GN Solids Control can supply One Stop, Turnkey Solution for Dredging Material Treatment. Last week, GN 1000 GPM dredging slurry separation system was delivered to work site for customer’s project starting celebration. 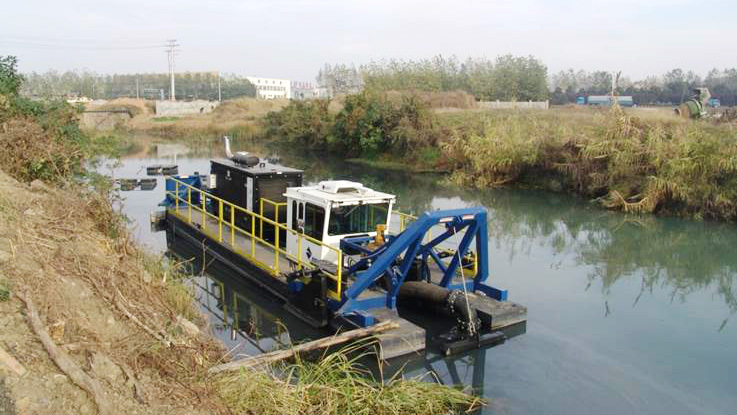 It is the first unit standard configuration system for dredging slurry separation which showed that GN has made herself getting into a further level for river and lake sludge cleaning up. The Dredging Slurry firstly go through the shale shakers, in order to remove the solids with more than 100 um. The slurry after the Shale Shaker Treatment would go through the De-Sander, in order to remove the the solids between 45~70 um. There are independent mud tanks under the shale shaker and De-sander, for collecting the liquid separately passing from the shale shaker and De-sander. 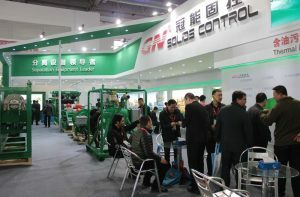 The two sand pumps are used for feeding material into the Shake Shaker and De-sander Separately. 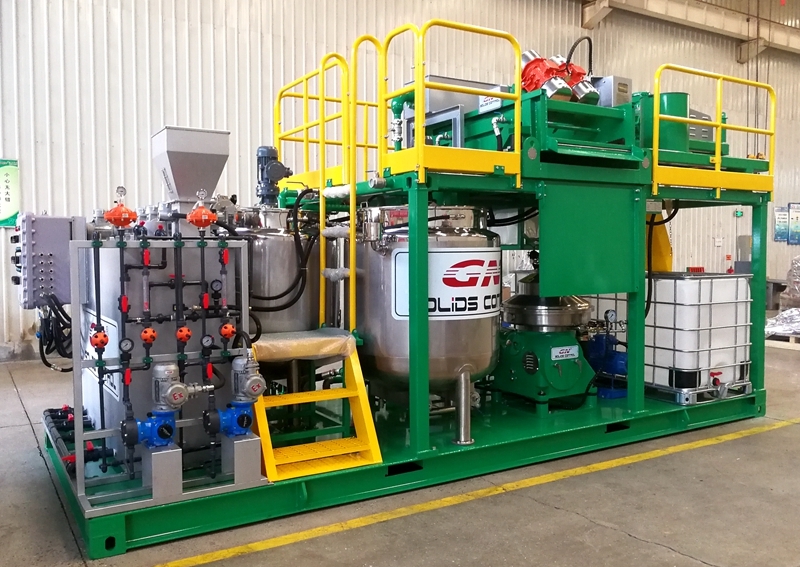 GN also develops Decanter Centrifuge for removing fine solids (up to 5um) from liquid, and removing all the Solids from Liquid, with Polymer Dosing System. 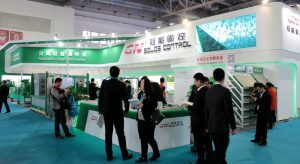 If you are looking for a good manufacturer of decanter centrifuge, vertical cuttings dryer, shale shaker, shaker screens, welcome to visit GN solids control stand at CIPPE 2018 to check our equipments. 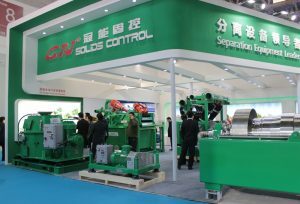 We will show our best sold model decanter centrifuge at the show. 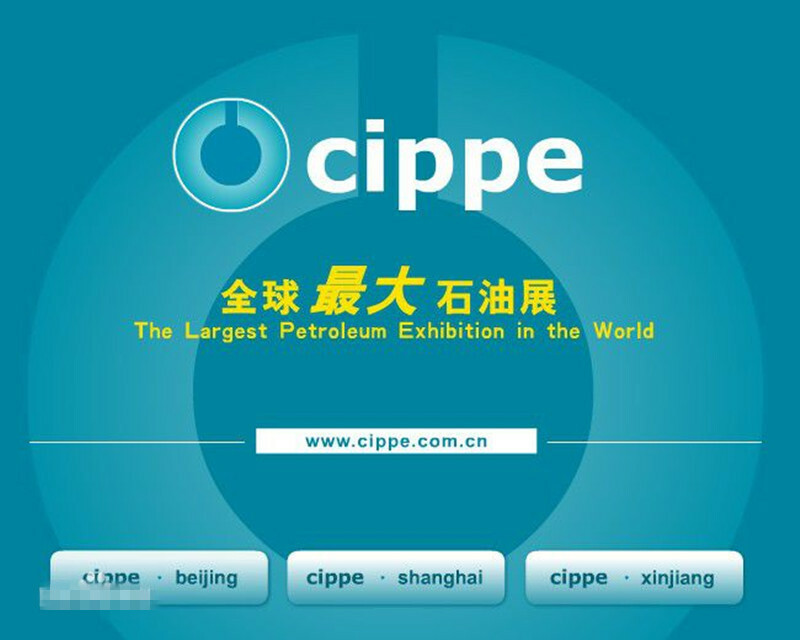 As the largest and most professional oilfield industry products and service exhibition in China, all of the manufacturers will show their most advanced technology during the show. 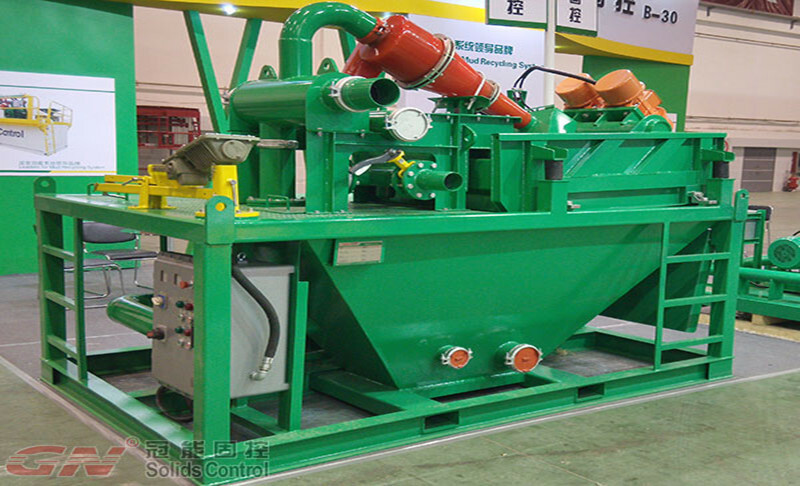 GNLW363CG-VFD decanter centrifuge is one of the best sold model for our international clients, it can be used for solids control system, drilling waste management system, industry waste water treatment, dredging slurry separation, dewatering system, barite recovery, Low gravity solids separation, etc. 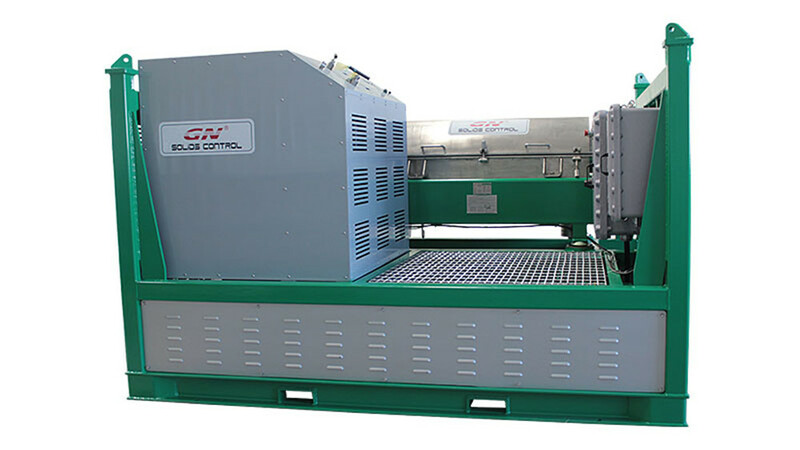 GNLW553C-VFD decanter centrifuge is the best sold big bowl big volume centrifuge, it is normally used as dewatering centrifuge with chemical dosing system for waste water treatment, it can be used for all kinds of waste water treatment. 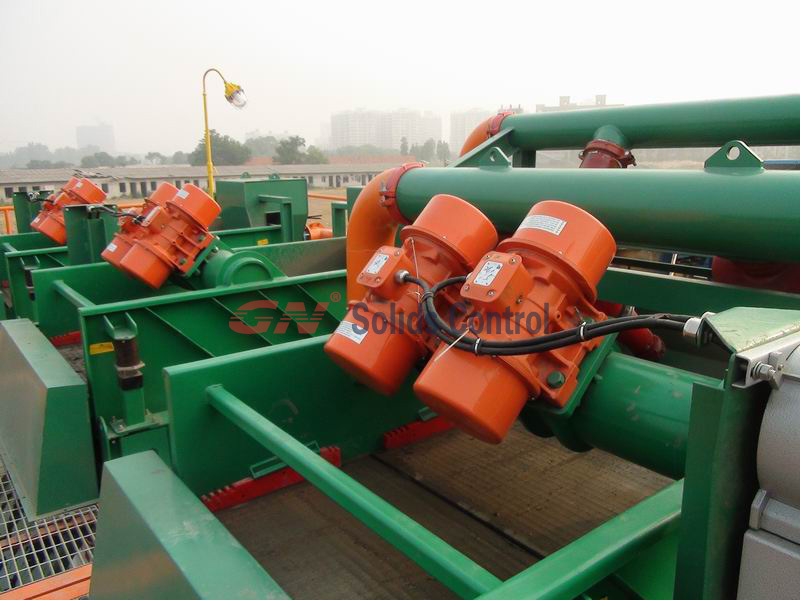 Sometimes it is used for oil sludge treatment system when the clients need 20~25m3/h treating capacity. We will also show vertical G dryer GNCD930, it works together with GNLW363CG-VFD decanter centrifuge as drilling cuttings treatment system for oil based mud. 4 panel shale shaker GNZS594E installed with composite material shaker screens, with longer service life and better performance. We produce shaker screens in our own workshop, so GN solids control can control the quality by our own quality control dept. without purchasing from other suppliers. We produce OEM shaker screens for own shaker and replacement shaker screens for US brand shale shaker, like Derrick, Swaco, Brandt, FSI, Kemtron, etc.